I am a meal planner – mostly because if I didn’t, we would be going out to eat for every meal and would end up even more poor than we already are and living in a box. 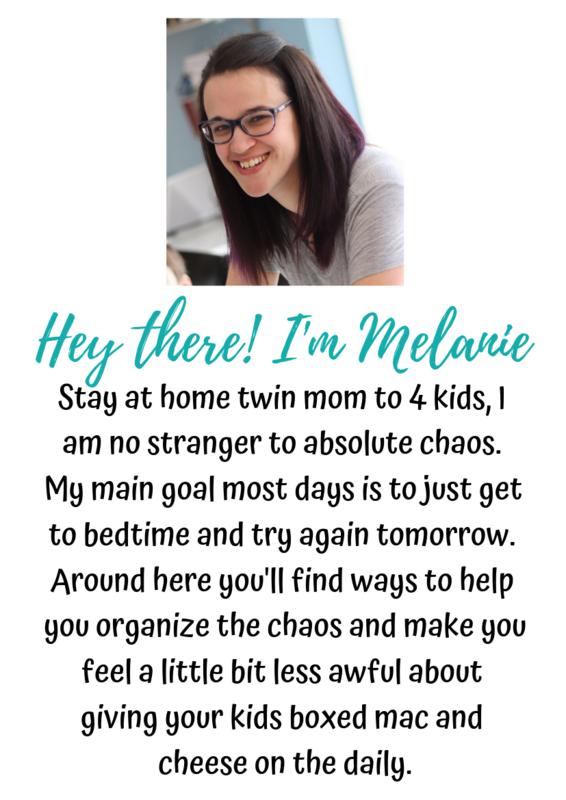 But when I am creating my weekly meal plan, if we have something going on that night or my husband is working late, I need to plan something quick and easy. Enter my list of quick and easy go to meals. Now I’m sure everyone has a different definition of a quick, easy dinner so let me share with you my definition of it. What is a quick, easy dinner? Requires 3 or less ingredients. Takes very little time, energy and attention. Something you know (almost) everyone will eat. Truthfully, I toss probably 2 or 3 of these into the week because 4 kids. Lately, I have not had the time to make an elaborate dinner but really, who does? This list has been a lifesaver for me. As I’m meal planning, I sit down and check my list. I grab a few each week and toss them onto the meal plan. 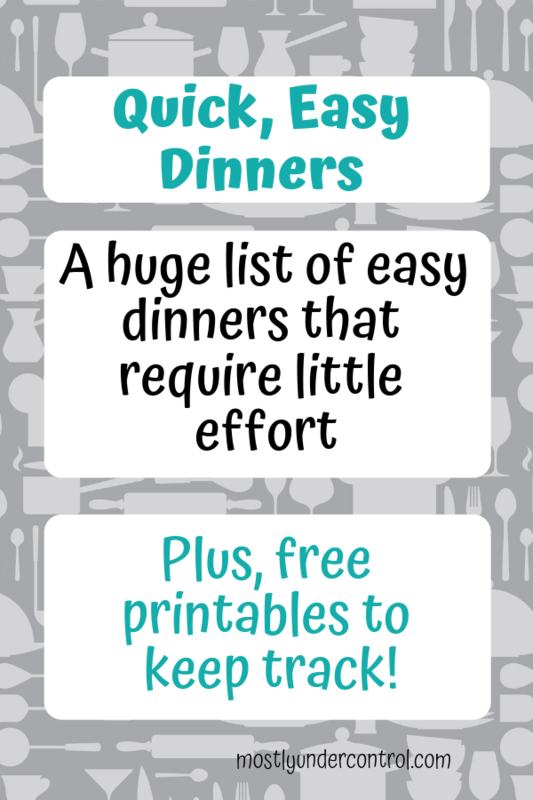 The best part about my quick, easy dinner list is that they almost all need very few things from the grocery store because they simply don’t require that much or I already have the majority of it on hand. For the live video from my Facebook group, scroll all the way down! Freezer stash meals – I teach in my meal planning group to always make a freezer meal each week for desperate situations. What are the cheapest meals to make? You can’t lose with a rotisserie chicken! You can cut it down to make lots of meals, including quick lunches. Ground beef is also a good choice when you’re looking to cook easily on a budget.